Share the post "LEED Certificate: LEEDing towards new and better green buildings"
Roughly 2 decades ago, the U.S. Green Building Council (USGBC) came up with the concept of LEED in response to much required specific and determined standards for building structures to be called “green” and environmental friendly. 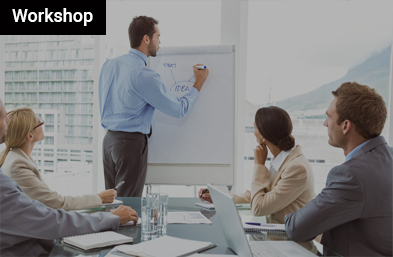 LEED (Leadership in Energy and Environmental Designs), is a certification program focusing on new and existing, commercial/residential building projects. The system is based on the point system. LEED v4 emphasizes more on materials to have a better understanding of what’s in them and effect these components have on human health and environment. The latest version of LEED uses a stronger, performance-based approach to indoor environmental quality for increased occupant comfort. It brings the benefits of smart grid thinking to the forefront with a credit that rewards projects for participating in demand response programs. LEED v4 provides a clearer picture of water efficiency by evaluating total building water use. Irrespective of the type of building, from new construction to existing buildings, the LEED certification applies at all phases of building development. As a result of flexibility of LEED standards, they can be applied to all types of projects. There are some unique categories known as LEED Rating systems which are used by project teams to manage and organize their processes and documentations for a specific building type. LEED projects earn points across five basic areas that address key aspects of green buildings. This certificate under this category accredits the building for integrating different operational systems and processes together. The strategies to get affiliated for this category of LEED often accomplish more than one thing, and with this, multiple projects can achieve those major synergies. This section of LEED v4 includes a major emphasis on more advanced performance matrices viz walking distance instead of straight line radius, trip counts instead of transit stops, absolute rather than relative parking requirements and bicycle networks in addition to bicycle storage. It addresses impacts by rewarding decision related to environment surrounding the construction site and the vital relationships among buildings, ecosystems and services. They also emphasis on restoring project site elements, integrating them with local and regional ecosystems, and preserving the biodiversity on which natural ecosystem relies. It is also one of the newest additions in the accreditation process of LEED. The Water Efficiency (WE) addresses the water holistically, taking into account indoor/outdoor use, and specialize uses and metering. It measures all sources of water consumption in a building for example, cooling towers, appliances, fixtures, fittings and irrigation. The Materials and Resources (MR) section within LEED v4 directly addresses each of these recommended strategies that have been restructured and reprioritized from their original credits in LEED 2009. Buildings and spaces with good indoor environmental quality protect the health and comfort of building occupants. Going a step beyond, high-quality indoor environments also work to improve the building’s value, enhance productivity, decrease absenteeism and reduce liability for building designers and owners. The purpose of the Innovation (IN) category is to recognize projects for innovative building features and sustainable building practices and strategies. So, these were some of the categories of LEED certification which can be given to a building. Let’s have a look at how LEED actually works. LEED works for single and group of buildings. It offers several options designed for companies and organizations seeking certification for multiple buildings. 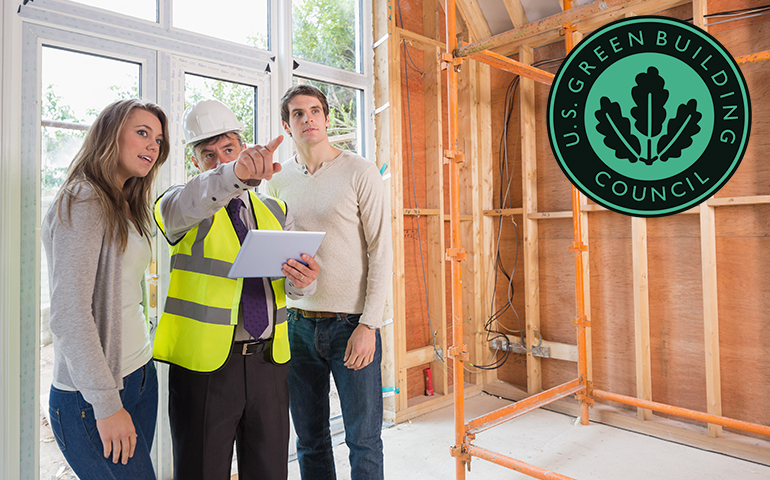 Building developers need to apply for LEED certification under a particular rating system (LEED for Building Design & Construction, LEED for Interior Design & Construction, LEED for Building Operations & Maintenance and Homes). On satisfying various requirements mentioned in these rating systems, they get certain points. Based on the gathered points, the rank of the certificate is decided for that particular building. One or multiple points can be earned toward the certification for each technical standards attained. In total 4 levels of certification can be achieved by a building on the basis of earned points. A building can leverage several benefits adhering to LEED standards, for both building developers and the people living or working in that building. If a building/home is certified green by LEED, it has possibilities of generating higher rents which can be a sure-shot benefit for property owners and apartment builders. Also, the LEED certified apartments or buildings have higher resale values as a result of better health and work environment. When followed accurately, LEED standards can bring down the building cost significantly. In some cases, LEED Gold and Platinum certification have managed to cut down this cost to half. However, in 20-year building lifecycle savings outweigh costs from 12.2 to 16.8 times. Lifecycle costing is a way to assess the total cost of building. Moreover, the certification helps in trimming down the energy consumption cost, along with the operation and maintenance cost. It also helps in improving the Indoor Air Quality (IAQ) saving up to $153.61 per square foot during the 20-year lifecycle of the building. In the U.S., several districts offer incentives to builders to construct LEED certified buildings. 100% property tax exemption on assessed property value in cities like Cincinnati, Ohio is an example of such an incentive. Regions like Nevada are offering local tax exemption to buildings qualifying for LEED certification. Tax breaks, low-interest loans, reduced fees, tax credits, density bonuses, free technical assistance and grants are some of the several incentives for LEED certified buildings. 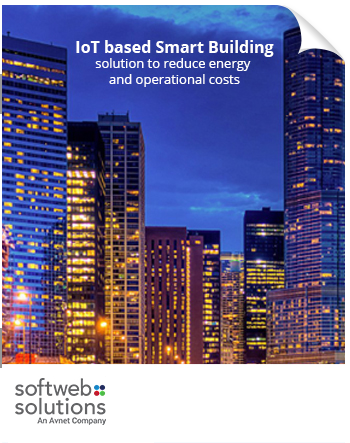 Softweb Solutions understands the importance of LEED certification for a building owner and a user. Softweb Facility Monitoring solution allows you to closely monitor and act upon the on-going activities across the building. The solution provides the decision makers with the ability of monitoring the space and energy consumption based on various parameters.